Maes-y-Delyn: To incubate or not to incubate? 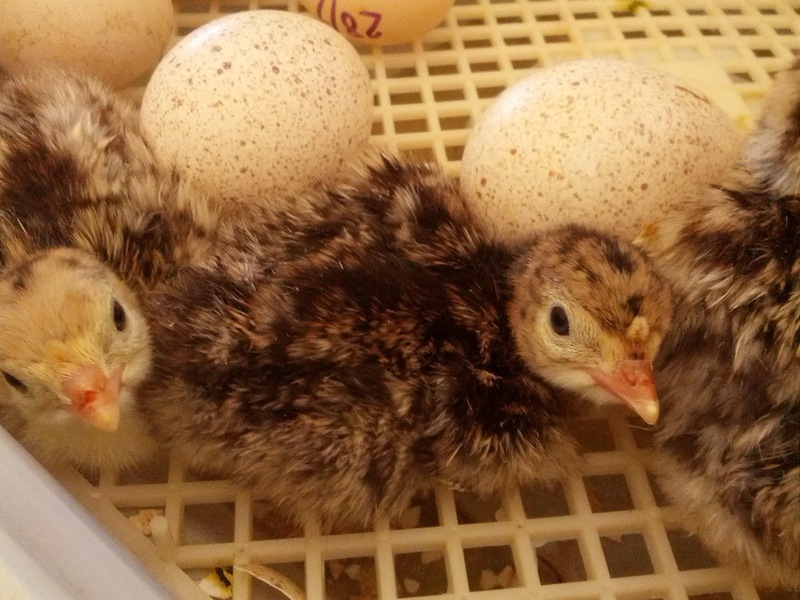 We have mostly incubated any eggs we have hatched, with a few exceptions. And there are pro’s and con’s to both. Obviously to allow your birds to hatch their own eggs, to begin with you are relying on one or more of your birds being ‘clucky’. As it is we have only ever had one clucky chook and at the time we didn’t even have a rooster. Though we have had, and allowed ducks, turkeys and (at the moment) geese to sit. We quite often get requests, or see adverts for ‘fertile eggs’ as a person has a clucky hen. I often wonder how they know they are fertile. Or whether it is just that the hens are running with a rooster? Well that’s a different issue. There are some breed that are renowned for being clucky, others for being good ‘incubators’ and others good mums… but like people, not all birds fit all bills. 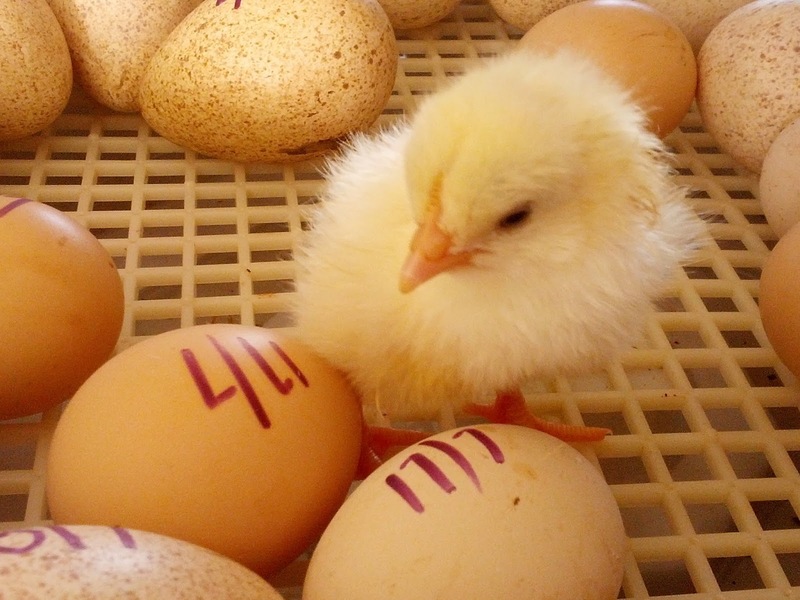 Whilst to incubate there are outlays and ongoing costs involved; the equipment itself (and there are cheap and expensive versions available) and these require consistent power etc. All of which has to be monitored and calibrated. Something a bird would do naturally. In our case, we have a basic 60 egg (based on size chicken eggs) counter top model that we turn and monitor the humidity and temperature on. And that’s another issue, the temperature and humidity have to be right and consistent, or it can cause all sorts of problems. 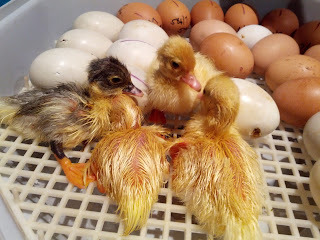 If you incubate you also have to provide housing for them once they hatch, so a brooder box; which is warm, dry and protected… again more power along with food and water. 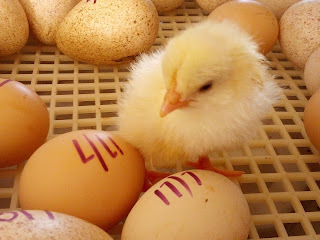 But an incubator does provide you with control of what is incubated and when. As you can select eggs from combinations and birds of your choice. It also allows you to collect eggs and set them on a given date. But also allowing for your birds to continue laying. For example our ducks will continue to lay in a nest until they have a sufficient clutch upon which they will sit. By removing eggs, you can prolong them laying, especially as they are only seasonal. In general we prefer to incubate over allowing the birds to sit, as some birds health seems to struggle whilst they are sitting; as they do not leave the nest to eat, or drink. Others will so this isn’t always a problem. And watching the hatch continues to be a highlight in our household, no matter how many times we do it! Also depending on where they decide to set up can affect our decision, as some can become very protective and often distressed, if not aggressive when other birds or humans approach the nest. We have a mixed pen (another consideration). And our goose, which has begun to sit is very protective against anything entering one third of the pen (including me!). Though she did allow me to place a shelter over her nest, as she was clearly hot and dehydrated sat in the midday sun. On other occasions the (duck) nest has been in an area that gets water flowing through when it rains, or in the garden where they are ‘sitting ducks’ for predators (even our own dogs would see it as an open invitation!). Also once they begin to hatch, and the eggs are not necessarily all at the same stage; the bird will often remain with the nest (and concentrate on the majority) leaving the early hatchlings wander and do not do too well alone in the outside world. So then you have to make the decision whether or not to intervene. We recently found a chick and poult (in two separate instances) that had perished whilst the turkey hens sat on their remaining clutch. And found another; just outside the nest (by centermeters), just in time as it was cold and covered in dust- that did survive. So we took the decision to ‘save’ the remaining young- 2 more poults and 6 chicks (and that is another issue, these all have Sussex dad, but no idea what eggs/ hen they came from). And then had to listen to the sorrowful call as one of the turkey hens returned to find her empty nest (well her remaining eggs left). We had hoped she would continue to show the attentive behaviour she had done so earlier in the week. It had been quite amusing watching her mother 3 fuzzy yellow chicken chick. But as our set up is not ideally located for wandering chicks, we felt it was for the best. Especially since we lost a whole clutch of week old ducklings this way last year. So mostly as much as we would love to allow nature to take its course. With our limited space and mixture of flocks, we find incubating allows us the most control of when and what we hatch. Though we have allowed the odd exception.